BMW Motorsports has started well, the BMW 3.0 CSL was very successful in racing, but the aging ‘Batmobile’ was facing competition from the Porsche 935, the racing version of the Porsche 911 turbo prepared for FIA-Group 5 rules. The Porsche 935 was introduced in 1976 and immediately victorious ‒ if not dominant ‒ in racing. 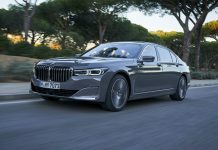 BMW needed a new car to take on the competition from Stuttgart. 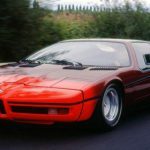 Therefore the engineers in Munich had already started working on a new sports car which would BMW Motorsport’s first competition car not based on a regular production model: the BMW M1, codenamed E26. In contrast to the front-engined CSL, the M1 was designed with a mid-engined layout. Initially engineers Martin Braungart and Paul Roche were considering to develop either a V8 or V12, but eventually they opted for a 3.5 liter straight-six based on the M49 engine which was used in the BMW 3.0 CSi. This petrol powered engine (known as the M88) delivered 277 horsepower in the street version. But eventually for Group 5 racing, the engine was pushed to produce up to 900hp by adding two turbochargers. But some dark clouds appeared on the horizon. The M1 was a joint venture between different companies, BMW developed and engineered the technical components. The body was designed by Giorgio Giugiaro of ItalDesign, who drew inspiration from the conceptual 1972 BMW Turbo X1 (pictured below). Lamborghini was supposed to assemble the cars at the rate of two a week. A few prototypes were constructed and tested around Lamborghini’s headquarters in Sant’Agata in 1977, but the Italian Bull was running into financial problems, resulting in significant delays. 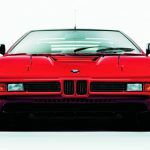 Just before Lamborghini’s unhappy employees started to occupy the factory, BMW wisely snatched the seven prototypes during the night and shipped them to Germany. BMW was forced to seek new partners in their supercar project. 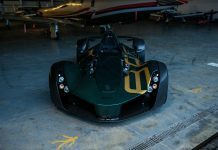 Eventually the production of the spaceframe was carried out by Marchesi, while the glass-fiber reinforced plastic bodyshell was produced at T.I.R., both highly skilled companies were based in Modena. ItalDesign assembled these parts and provided interior fittings. 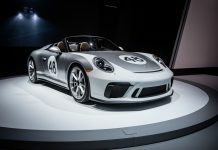 The final assembly would be done by specialist convertible builder Baur in Stuttgart. But this patchwork puzzle proved to be quite a challenge, so a special engineering group named Italengineering was founded to straighten all issues out. The first BMW with the now famous “M” in its name was launched in late 1978. 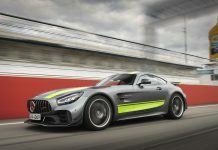 With a top speed of 265km/h it was the fastest road-going car built in Germany. The M1 accelerated from standstill to 100km/h in less than six seconds, and a sprint to 200km/h took a mere 20 seconds. In those days only a few cars were able to achieve these kind of performance figures. The most famous M1 is without a doubt the one created by the Pop Art legend Andy Warhol. The car raced only once, in the 24 Hours of Le Mans in 1979, finishing sixth overall and second in class. Another M1 became an cultural icon as it was painted by Frank Stella in 1979, who previously was commissioned by BMW to paint a 3.0 CSL. BMW’s motorsport division had started construction of the M1 with the intention to race it in the World Sportscar Championship. The Germans planned to debut the M1 in the Group 5 racing category, but the governing body for motor racing events FISA had altered the requirements while development of the car was well underway. 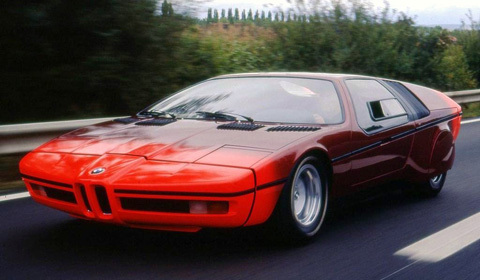 In order to comply with the rules and regulations set for Group 5 , BMW needed to built at least 400 road-going units of the M1 within a period of 24 months before homologation would be granted. Instead of delaying BMW’s racing program until the minimum amount of cars was built, the Germans came up with an interesting solution allowing the M1 to hit the circuits. Jochen Neerpasch, who was in charge of the BMW Motorsport, suggested to organize a single-make series using modified M1s. By creating their own racing series, BMW was able to use the M1 on the track since it wasn’t allowed to enter in any other championship. Also all cars built for their own racing series would be counted toward the 400 minimum set by the FISA. 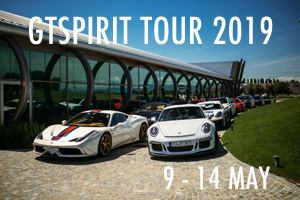 This championship ‒ born out of necessity ‒ became known as the BMW M1 Procar Championship. The Procar Championship which ran as support series for Formula One racing started in 1979 and included many F1 drivers. The races were held on Saturday and saw the five fastest qualifiers from Friday compete against 15 other drivers. All participants drove in cars built to identical standards. The series ran for two years, with Niki Lauda winning the 1979 season, and Nelson Piquet the 1980 season. 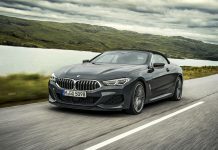 BMW finally met the requirements for the World Sportscar Championship in 1980, in that same year the Germans announced they would enter the Formula One as an engine supplier for Brabham, then headed by Bernie Ecclestone. 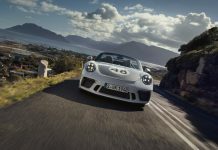 BMW Motorsports focus shifted towards Formula One; the company ironically ended their plans to enter the Group 5 category after the construction of only two race cars. The turbocharged BMW F1 engine first raced in the 1982 season, and allowed Piquet to win the Drivers’ Championship in 1983. Eventually BMW would construct the most powerful F1 engine ever, thanks to its unrestricted turbo engine the 1986 Benetton BMW B186 were good for over 1200hp, although on Monza output peaked at 1400hp in qualifying trim. 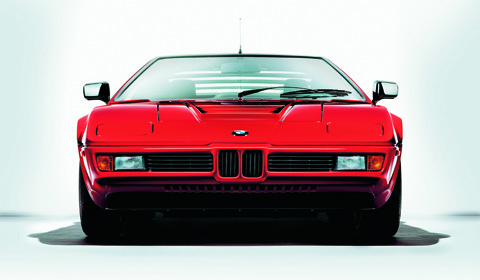 A total of 456 BMW M1s were built between 1978 to 1981. Despite the fact the car never played a significant role on the stage wherefore it was developed, the only mid-engined BMW to be mass produced became one of the most iconic cars of its time thanks to its design, performance and the popular Procar Championship. The spirit of the M1 lived on in the first-generation M5, which shared the same engine and will be featured in the next chapter of 40 Years BMW M.